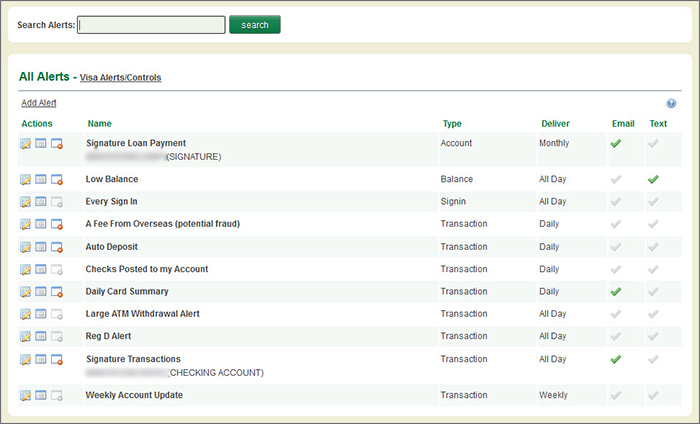 To set up an RCU loan payment alert, log in to online banking. 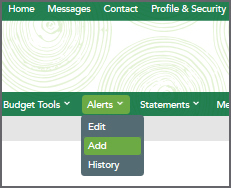 Navigate to Alerts and click on Add. Choose Account as the alert type. Give your alert a name. Indicate when you would like to receive the alert. 5. Select how you would like to receive the alert. 6. Please be sure to send a test email or text message to verify you will receive the alert. You will be able to review all of your alerts. 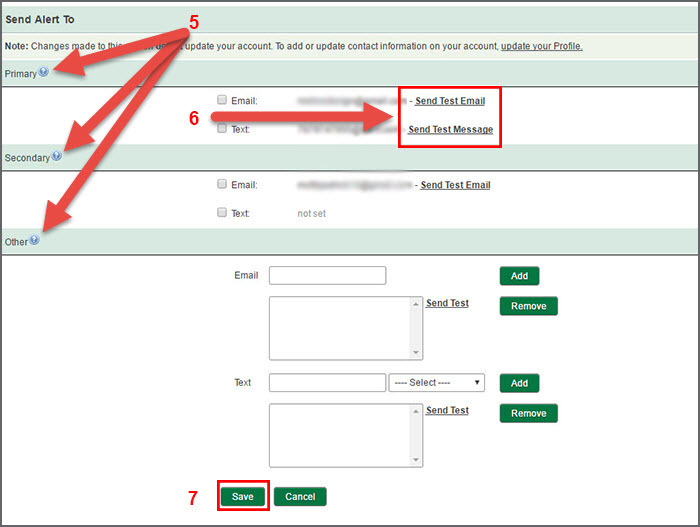 The green checkmarks indicate how they will be sent. Please see the image below as an example.